Top Attorney Chris Purcell was named one of California’s Super Lawyers. Aggressive attorneys providing the best medical malpractice representation in the Inland Empire. With several offices for our law firm, we offer the flexibility to meet with an award-winning lawyer at the location most convenient for you. On Avvo, we are listed as one of Riverside County’s Superb law firms, which is determined by honest client reviews. The medical profession establishes high standards, but when treatment provided by a healthcare professional falls below that standard, it can constitute medical negligence. For a patient, medical malpractice can often mean a catastrophic injury or even a wrongful death. Experienced Riverside medical malpractice lawyer Chris Purcell fights for the rights of medical malpractice victims in southern California. If you have been injured in an incident of medical malpractice, attorney Chris Purcell can help you pursue a medical malpractice claim for injuries caused by negligence, misdiagnosis, or the failure to follow established safety procedures. Medical malpractice occurs when a doctor, nurse or other medical professional breaches the standard of care during medical treatment and causes an injury that could have been avoided. “Standard of care” refers to the procedures that medical professionals should follow when a patient comes to them for treatment. Keep in mind, medical malpractice claims must prove that the doctor not only breached the standard of care, but also caused an injury as a result. If no injury resulted from the breach, you may not have a valid medical malpractice claim. Medical malpractice can occur when a doctor fail to diagnose a health condition, misdiagnoses a health condition, administers the wrong medication, prescribes the wrong medication, or makes errors during a surgery or other procedure. Of course, every surgery or procedure carries some degree of risk, but the medical professional should be well aware of the risk and should inform the patient of any associated risks as well. A patient should never have to consent to having a surgery or procedure performed without first understanding the risks, that is, unless it is an emergency situation. If the patient decides to undergo the surgery or procedure after being made aware of the risks, the doctor must do everything in his or her power to reduce the risk of harm. If the doctor fails to do so and an injury occurs, the victim could have a valid medical malpractice claim. HOW LONG DO LAW FIRMS HAVE TO FILE A MEDICAL MALPRACTICE CLAIM? Medical malpractice attorneys can only file a claim for a certain period of time after the date the injury occurred. You have exactly one year from the date you first realized the doctor’s negligence has caused an injury, or three years from the date the injury occurred (whichever happens first) to file a medical malpractice claim in the state of California. These may seem like lengthy timelines, but they can fly by quickly, which is why it is so important for you to seek legal assistance with your medical malpractice claim as soon as possible. If you believe you are a medical malpractice victim, speak to attorney Chris Purcell as soon as possible to discuss your legal options. 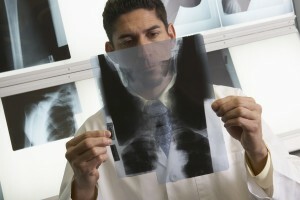 WHAT ARE THE DIFFERENT TYPES OF COMPENSATION FOR MEDICAL MALPRACTICE VICTIMS? There are several types of compensation you may be entitled to if you are a victim of medical malpractice. However, the type and amount that are awarded will vary on a case-by-case basis. Economic damages, which are often referred to as either actual or compensatory damages, compensate a victim for medical expenses and lost wages that have resulted from the injury. The state of California does not place a limit on how much of this type of compensation a victim can receive. The second type of compensation you may be entitled to known as non-economic damages. This includes compensation for emotional and mental anguish caused by the injury. Currently, California has a $250,000 cap on non-economic damages, meaning you cannot be awarded more than $250,000 for your pain and suffering caused by medical malpractice. WHEN CAN A LAWYER HELP YOU RECOVER PUNITIVE DAMAGES IN A MEDICAL MALPRACTICE CASE? The victim may also receive punitive damages as a result of his or her injury. These damages are awarded to punish the medical professional for what the court believes is reckless behavior. Attorneys often must be able to prove the medical professional acted with malice or fraud in order to be awarded punitive damages, but that is not always the case. There are no limits on punitive damages, so you may receive any amount if these are awarded to you. Compensation is never a guarantee in a medical malpractice case, but you will never know whether you are entitled to it or not unless you take the first step by calling attorney Chris Purcell. Contact Chris Purcell today to arrange for a free legal consultation. Medical malpractice cases can be complex, so you will need an attorney with experience in this area. The insurance industry’s lawyers work tirelessly to discredit, delay, and deny legitimate malpractice claims. Attorney Chris Purcell will stand up to the insurance companies and their lawyers on your behalf. To win a medical malpractice case, your attorney must prove that a healthcare professional’s negligence was the direct cause of the injury you suffered. You’ll also have to demonstrate that the injury caused economic and/or non-economic damages. Attorney Chris Purcell can help. A simple mistake may not constitute malpractice, but a personal injury caused by the failure to provide appropriate care or to diagnose a detectable illness probably does constitute medical malpractice. Chris Purcell fights for the rights of medical malpractice victims. With two decades of experience, a reputation for legal excellence, and a record that speaks for itself, Chris Purcell knows the anxieties that medical malpractice victims face, and he knows how to win justice on their behalf. If you or a loved one has been a victim of medical malpractice in southern California, take action at once – the amount of time you have to act is limited – and speak with attorney Chris Purcell. Chris Purcell knows from experience how medical malpractice in a clinic, doctor’s office, or hospital can injure patients and devastate families, careers, and dreams. Chris represents victims in Riverside and San Bernardino, throughout the Inland Empire region, and across southern California. He represents clients in cases involving medical malpractice, birth injuries, motorcycle accidents, defective products, motor vehicle accidents, and premises liability. He handles injury claims on a contingency fee basis, so clients pay nothing unless and until Purcell Law recovers compensation on your behalf. To arrange a free first consultation with Riverside medical malpractice attorney Chris Purcell and receive legal advice regarding your case, call our offices at 714-332-5098 or contact Purcell Law by email today.